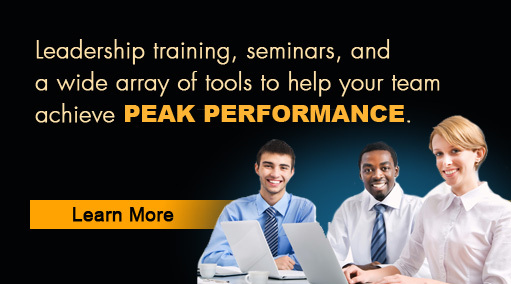 Renowned peak performance expert Chris McIntyre invites you to be part of this webinar series as he shares proven techniques, effective systems, and downloadable tools that will help leaders achieve optimal performance at every level. 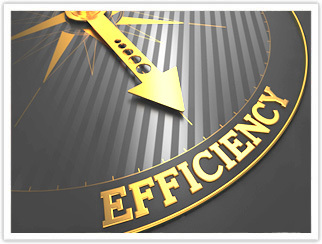 Download, tailor, and use the latest productivity tools that will increase your efficiency and keep you and your team on top of things without getting overworked and overwhelmed. 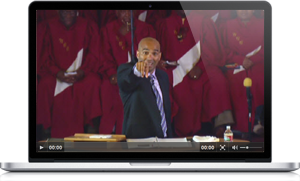 Get them pre-recorded or schedule live events with tailor-made forums for your entire organization! Get FREE Access to the Forums! 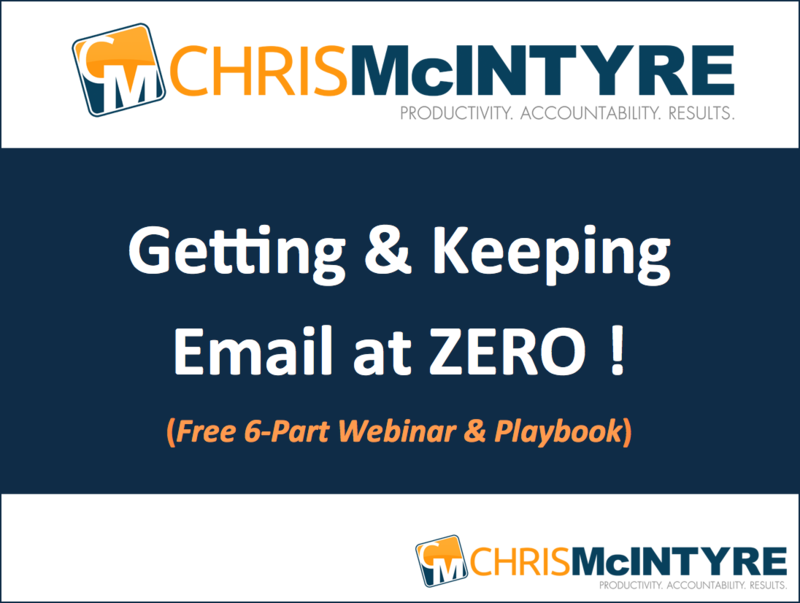 …and get the six-part free webinar series on getting and keeping email at zero! 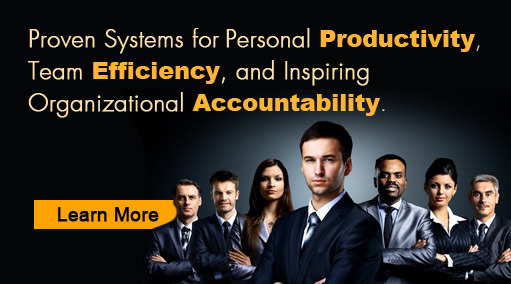 Increase your personal efficiency with trusted systems that will help you focus, prioritize, and boost the productivity of your team. Discover how you and your team can leverage your emotional intelligence to manage relationships, communicate effectively, and achieve top-notch performance. 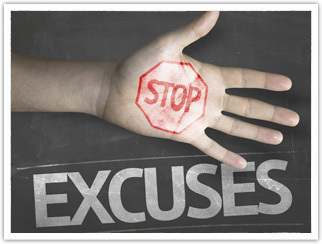 Create systems that inspire a culture of accountability and fierce team buy-in by consistently communicating the right message, to the right people, in the right way. 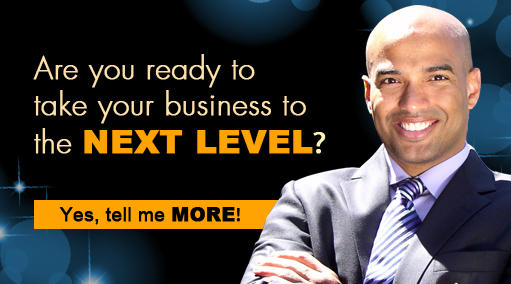 “Chris – I’ve seen and listened to many speakers and trainers in my years in the corporate world. 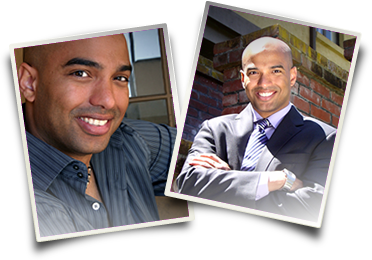 I can honestly say that your presentation style, enthusiasm, kinetic energy, and humor put you on a very short list of memorable and noteworthy speakers. 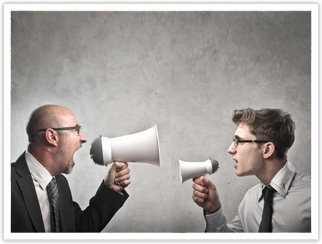 You’ve definitely set a high standard for others, including me, to aspire to.” – Eric Lussier, VP of Operations, Handy & Harman Ltd.
“Chris McIntyre has an exceptional ability to connect with very different audiences. He conducted seminars for us at our corporate office in Vermont and at our distribution and call center in Roanoke, two very different groups. Chris’s wit and exceptional knowledge of his material captured the attention of both groups immediately and he held that throughout the day. It’s been a year since his visit to Vermont, and I still hear comments about his presentation. I look forward to the opportunity to hear Chris again.” – James W. Evans, VP, The Orvis Company, Inc.
“Chris has an innate ability to captivate an audience with his charismatic personality and articulate presentation style. He is excellent at reducing complex subject matter into simple, easy to understand message points. I have attended plenty of training programs over my 33 year career and rank Chris as one of the best presenters I’ve ever had the pleasure of learning from.” – Stephen P. Osborn, President, CE Solutions, Inc.
“A very informative, understandable, and passionate presentation. I’m anxious to dig into “The Roadmap to Freedom.” – Christine Wardrop, Owner, Industrial Piping Systems, Inc.
Be part of Chris McIntyre’s dynamic CEO community and gain valuable insights from hundreds of senior leaders, thought leaders and business owners, monthly webinars, accountability tools, and much more!